Diagnosis of a heart problem or a sudden heart attack is often followed by fear and anxiety. 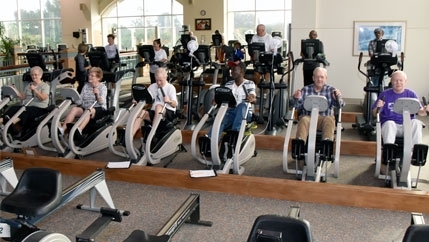 Through extensive education and a monitored exercise program, McLeod Health Cardiac Rehab patients increase capacity for work and play, decrease blood pressure and heart rate, reduce body fat, improve overall muscle tone and lower cholesterol and triglyceride levels. 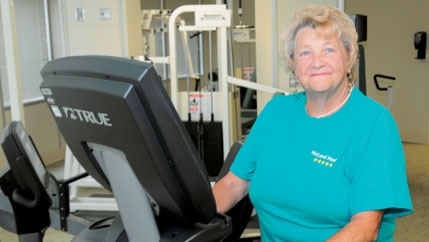 Phase 1 of Cardiac Rehab starts while patients are still in the hospital, meeting with a Cardiac Rehabilitation Nurse, who explains heart disease and assesses risk factors. Then, progressive, monitored activity puts patients back on their feet and on the road to recovery in Phases 2, 3 and 4. Florence, Cheraw, Clarendon, Dillon, Seacoast. You learn more about nutrition, weight control, exercise, stress, medications and other health concerns. You participate in three monitored exercise sessions each week with activities, such as treadmill walking, stationary cycling and rowing. Phase 2 typically lasts eight weeks. 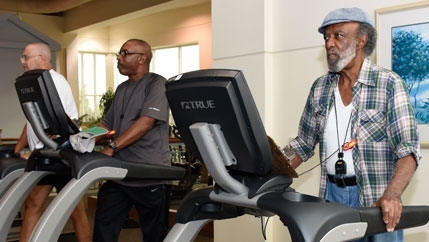 After completing Phase 2 (or if you are at a high risk for heart disease), Phase 3 continues Rehab with supervised, structured exercise. Each week incorporates three supervised exercise sessions along with regular educational sessions. However, for those people with a continuing need of medical supervised exercise, they’ll find it in Phase 4. Vascular Rehabilitation is a walking program that is a part of the Cardiac Rehabilitation program offered at McLeod. This program provides comprehensive care to our vascular patients. 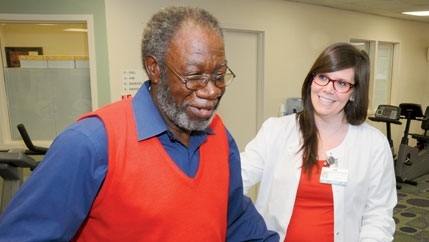 Patients referred to McLeod Vascular Rehabilitation will work with a team of health care professionals who will develop an individualized walking program designed to meet the individual goals and needs of the participant. Let you walk longer and farther without claudication. This is an ache in the legs during exercise that goes away with rest. Let you move and be more active. Add to overall health and well-being.